WHILE Brisbane's taxi services improved significantly in 2013, some regional areas got less favourable reviews from mystery shoppers. Toowoomba got the lowest score across the state, meeting 64% of the key performance indicators being assessed, while Rockhampton got the highest in the state with 83%. When it came to journey satisfaction levels Brisbane leapt 8%, Rockhampton jumped 5% and Toowoomba plummeted 25%. Taxi Council Queensland chief Benjamin Wash said he could not explain why those regions would be so far from the state average of 77% in the 2013 Queensland Taxi Mystery Shopping report. "From the council's point of view there's no difference between any of those regions," he said. "We're not given any specific details so it's impossible to see if there's an anomaly or to identify who was working on that day or track down what lead to those results. "But I think overall I think we've performed very well and notwithstanding there are some regions greater than others, it just indicates there's always work to be done." When mystery shoppers assessed taxi characteristics - such as cleanliness, odour, temperature, music volume - Toowoomba dropped from 94% in 2011 to 70% in 2013 while Rockhampton dropped from 95% to 83%. "This was primarily due to significant declines in the proportion of taxis with clean exteriors and interiors and the proportion of taxis with comfortable temperatures inside in these regions," the report - from Roy Morgan Research for the State Government - read. The report found there had been a significant improvement on taxi interior cleanliness in Sunshine Coast taxis, from 93% to 98% over the two-year period. The Gold Coast, Sunshine Coast, Toowoomba and Mackay all recorded significant declines in driver service. There were notable declines in the proportion of taxi drivers greeting their passengers in Ipswich, Toowoomba and on the Sunshine Coast. A significantly lower proportion of taxi drivers asked their passenger for a particular route in 2013 compared with 2011 observations. "Several regions followed this trend, which may be explained by the notion that drivers did not ask for a particular route because they already knew the best way to go, as indicated by passenger comments," the report read. Significantly lower proportions of Rockhampton and Toowoomba taxis were rated as having a comfortable temperature when compared to 2011 results. 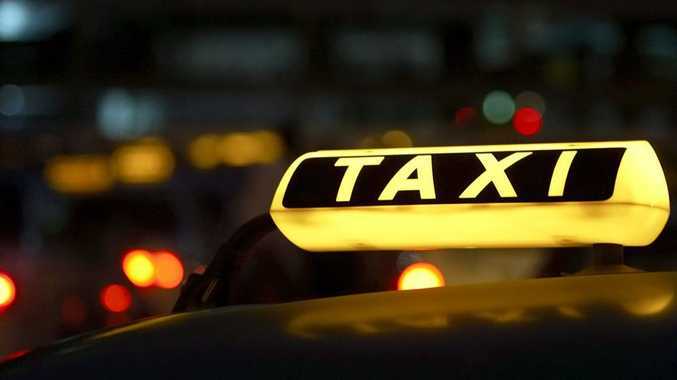 "While the majority of taxis were rated as having a comfortable temperature inside, some passengers found the temperature uncomfortable due to the driver not turning on the air-conditioning or keeping the windows open," the report read. There were significant decreases in the proportion of taxis with visible tariff stickers in Ipswich, Redcliffe and Mackay since 2011. Mr Wash said the report overall found 88% of Queensland taxi customers rated their overall journey experience as "very satisfactory" or "satisfactory", with issues like safety, driver professionalism and taxi fares all rating highly. He said the figures were outstanding given there were about 250,000 taxi fares each day across the state. Mr Wash said Brisbane's vast satisfaction improvement likely could be attributed to improvements from the huge influx of foreign drivers who initially suffered from a lingering community sentiment that judged them harshly in 2011. Conversely, Mr Wash questioned whether the initial problems in Brisbane were now happening in regional areas because he had heard anecdotally that a number of foreign drivers were moving to regional areas to meet visa requirements. There were 1371 mystery shops conducted overall across Brisbane, Ipswich, Redcliffe, Gold Coast, Sunshine Coast, Toowoomba, Mackay, Townsville, Cairns and Rockhampton.